it is the single most important factor when it comes to the performance of your carpet. Dunlop carpet underlay helps keep your carpet feeling comfortable and looking new. It’s what you’d expect from a company that has over 45 years of experience in making Australia a more comfortable place to live. Each product has been specifically designed to ensure your floors are durable, comfortable underfoot and retain their appearance for longer. No matter the level of comfort you need, Dunlop Underlay has you covered. 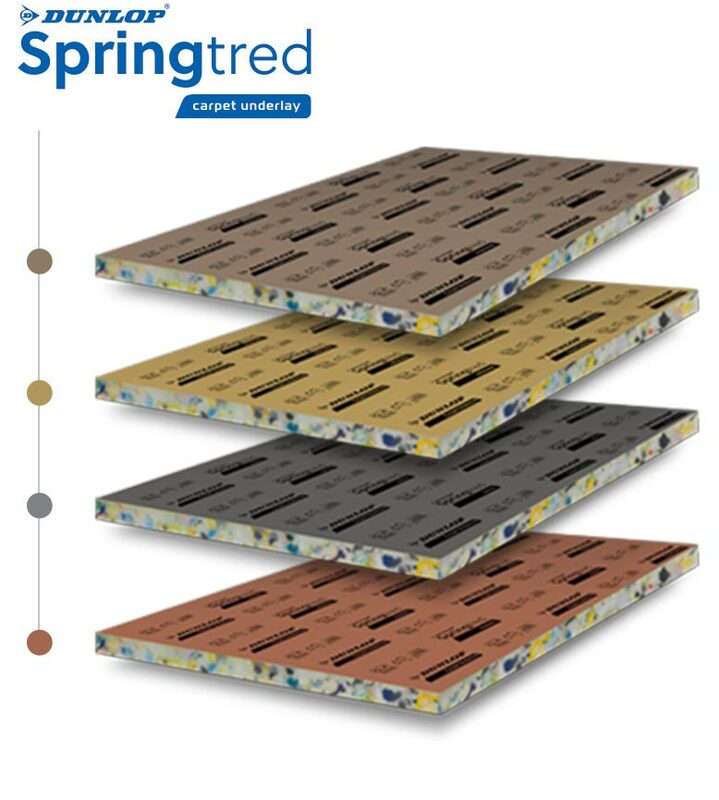 With a number of products available, in a range of comfort levels, you can be certain that you'll find the underlay to suit your budget and lifestyle. Supreme (11mm) is our highest density and thickness, delivering a superior feel and maximum performance. Ultimate (10mm) takes it to another level, offering even more luxury and softness. Extra (9mm) provides extra density and thickness for improved underfoot comfort. Classic (8mm) is your first step towards comfort and better carpet performance.